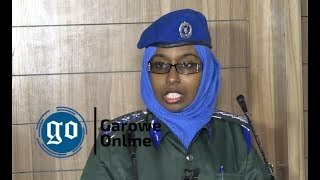 GAROWE, Somalia Nov 20, 2014 (Garowe Online) - Somalia’s North Eastern State of Puntland has declared that it would hone anti-terrorist operations following intelligence briefings on Thursday, Garowe Online reports. 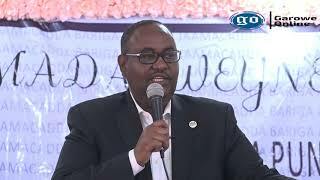 Speaking at a press conference in the state capital of Garowe, Puntland Intelligence Agency (PIA) Chief Abdi Hassan Hussein (Abdi Yare) revealed that intelligence briefings disclosed possible terror attacks by Al Qaeda Al Shabaab group in Somalia’s stable Puntland. 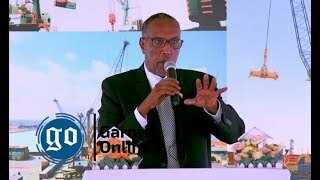 “We have so far gathered intelligence reports unveiling that Al Shabaab is planning to carry out attacks in Puntland,” said Abdi Yare, adding that the threat ahead is imminent. 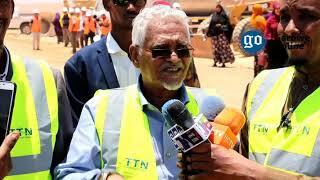 Puntland Intelligence Boss further noted that destructive networks are in full force campaign to foment violence, and destabilize the region. He called on ordinary residents not to provide safe haven to terrorists and keep vigil on suspects. 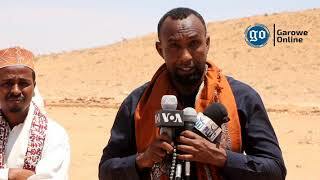 The call for tight security by Puntland security agencies has emerged after masked gunmen shot and killed a local journalist in Galkayo which straddles the border between the stable state and south-central regions plagued by chronic insecurity. 8-member panel of UN investigators accused Puntland leadership of weak anti-terrorism policy and piracy links in early October. Al Shabaab militants are believed to have migrated northwards towards the rugged terrain of Galgala as a result of intense military campaign in central and southern Somalia.